Saturday, December 1st, was a day spent in remembrance at the Clam Lake Cemetery. 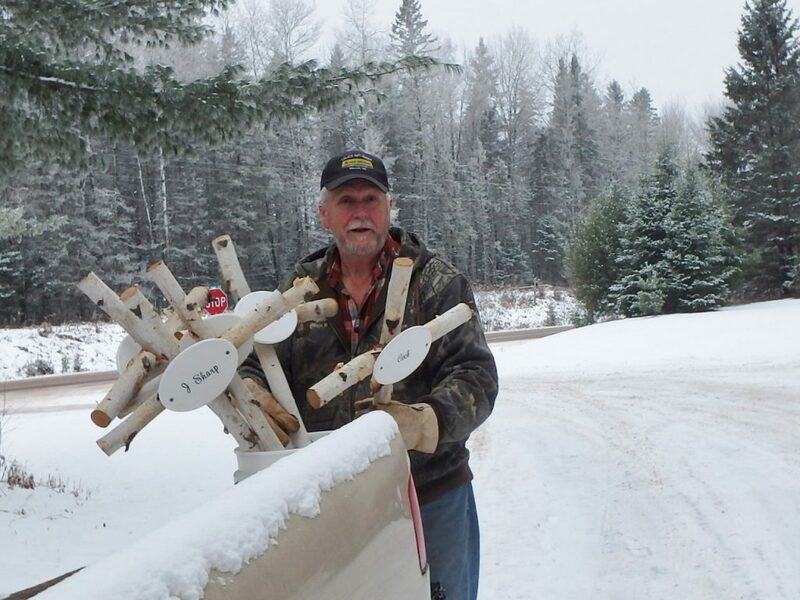 Wreaths were placed on the graves of Clam Lake’s veterans and new wooden crosses were brought to replace ones that were disintegrating as the years pass. The crosses are made of simple birch bark in keeping with our wooded world. Thanks to Jim and Andrea Kyrgoski for making the crosses and for Ace Griffaw for beginning the process of placing them in the ground. Pictured is Andrea holding a cross for the first person buried in our Clam Lake Cemetery – young Beatrice Cook whom was only eighteen months at the time of her passing. 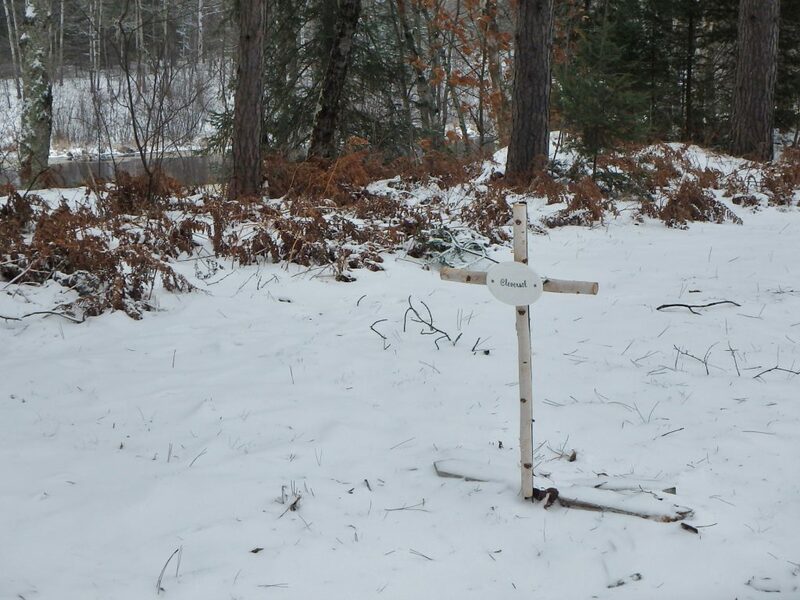 Then there is Ace with his bucket of crosses to be placed and finally the cross of Julius Cleversol with his grave looking out upon the Chippewa River. The crosses represent people whom no longer have any family to care for their graves. The community of Clam Lake decided to become that family.